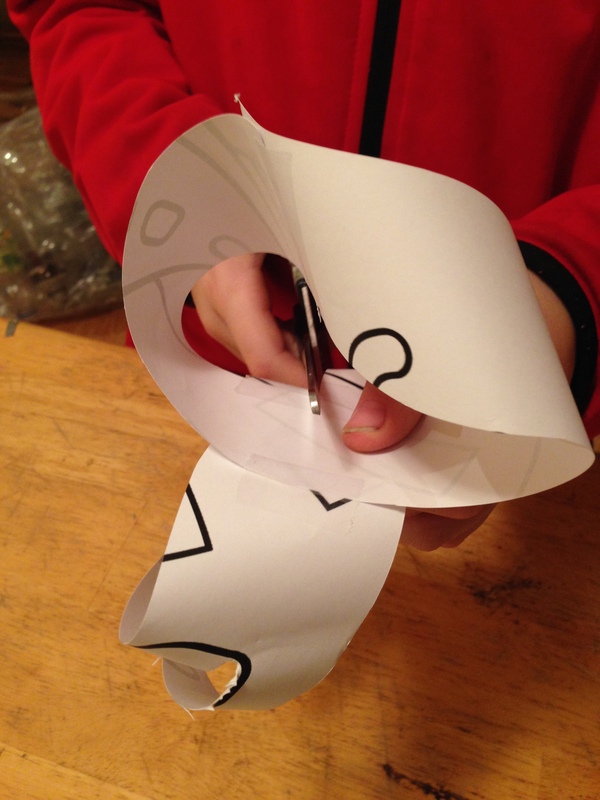 Make mobius strips and experiment with the number of twists and what happens when you cut them in half. A fun math activity. 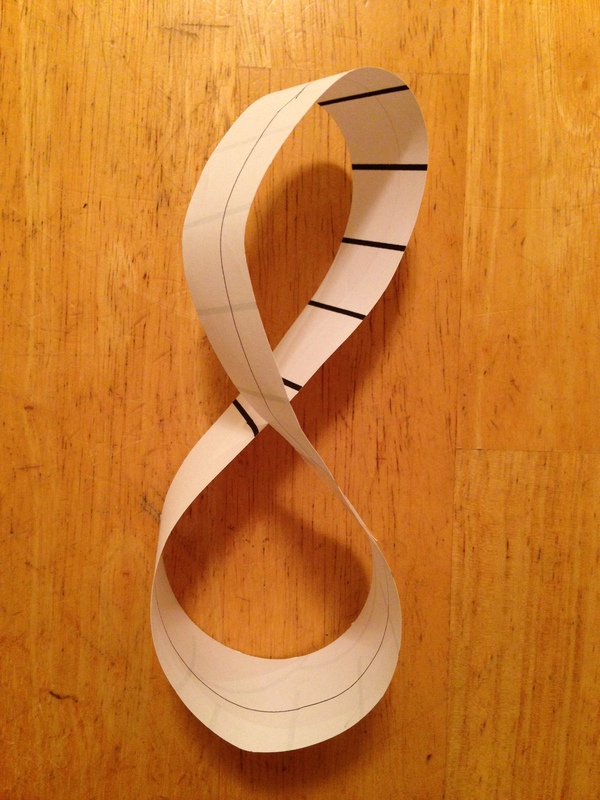 Use a strip of paper to make a mobius strip: hold the strip flat, twist one end one half turn, then tape the ends together. How many sides does it have? Use a pencil to draw a line down the middle of the strip, and find out that the strip has just one side. 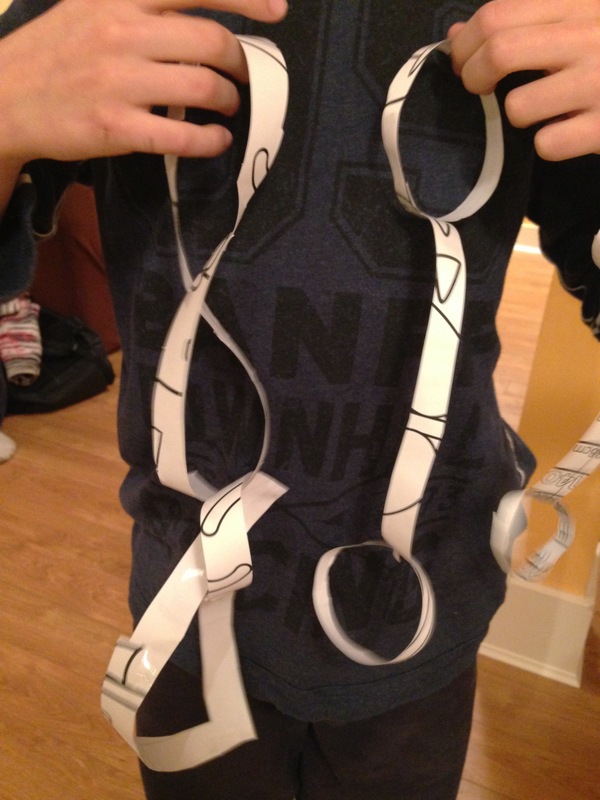 Make other mobius strips with different number of twists and find out how many sides they have. Record the results to find the mathematical pattern: an even number of twists gives two sides, an odd number gives one. 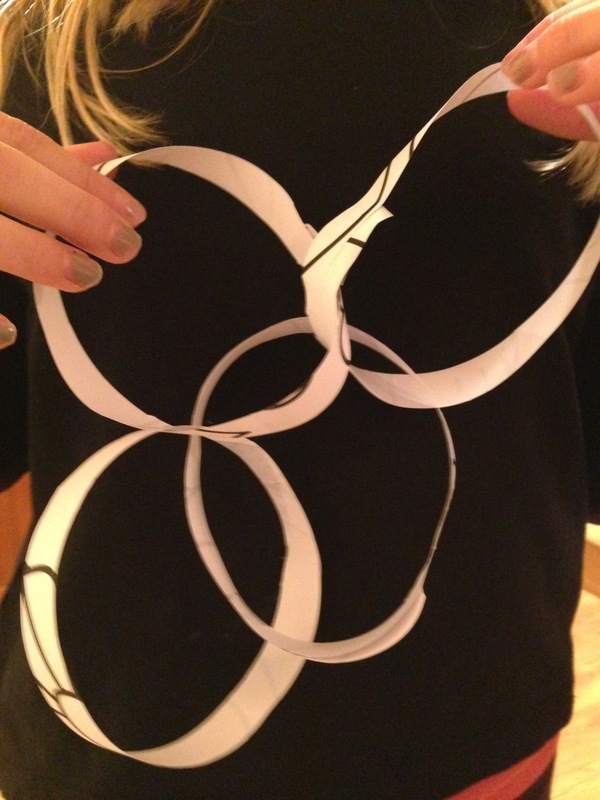 Play around with cutting mobius strips down the middle to make new loops. Play around with joining strips together, then cutting them both down the middle (see images).